A sermon preached by Bishop Basil of Sergievo at the Orthodox parish in Oxford ten days before the attack on the World Trade Center. 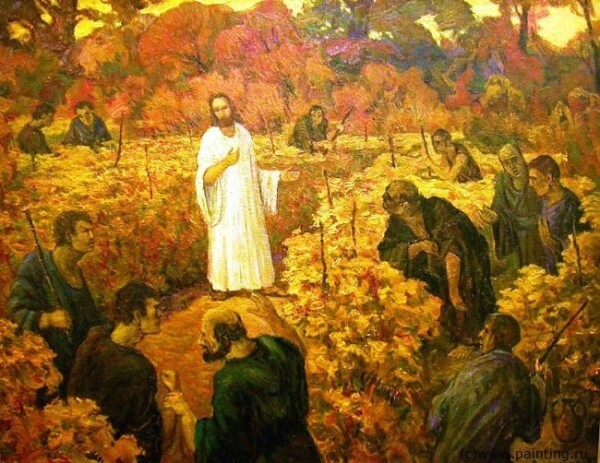 In the Parable of the Vineyard (Mt 21: 33-42), we hear the story of an owner of a vineyard who handed it over to tenants and departed for a far country. When the time arrived for it to bear fruits, he sent his servants to collect them, but the tenants beat some and killed others. Finally, the owner sent his son, saying, “Surely they will reverence my son.” But this was not the case. They laid hold of him, cast him out, and killed him. By this reply the chief priests and elders show that they have understood nothing. They have not been able to “read” the parable. They have not grasped the nature, the true character of the owner of the vineyard; they have not understood the nature of God. For it is not the nature of the Father to punish and destroy. It is his nature to give. He sends his servants to the tenants, and in spite of the way the tenants treat them, he sends others, and finally his Son. He gives what is his to the tenants, just as he himself planted the vineyard in the first place, and then gave it over to others to work in.